8 of the Most Expensive RVs In The World! Have you ever wondered what it’s like to travel in complete luxury? Better check out our list and be amazed by how much people will spend for that VIP lifestyle while on the road. If you’re looking for an RV with a budget less than $500,000.00, then this Entegra Coach Cornerstone 45DLQ is perfect for you. This luxurious RV can be bought for $464,000.00 and it has 8-way power seats and a smart wheel that will make the whole trip more comfortable. But, wait–there’s more! This RV will not be completely luxurious without its cedar-lined walk-in closet, a detailed Cornerstone with quartz counter tops, heated porcelain flooring, and its quality sound bar and entertainment system. If you’re up for an adventure and more thrilling travel experiences, then it is safe to say that this UNICAT Amerigo International is just what you need. With Solar panels and a 2,000 mile gas tank, you will never have to worry where the road will take you. The total cost for this RV is $500,000.00. Monaco Coach is one of the leading companies for Luxurious RVs and their new 2016 Monaco Dynasty truly does not disappoint. The new Dynasty is packed with a Roadmaster chassis with a 600 hp — the perfect amount of power you will need for the road. 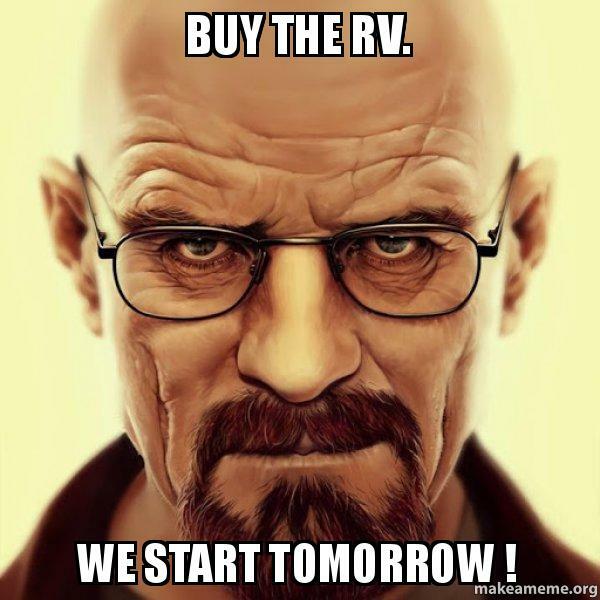 This RV is priced at $600,495. The Newman King Aire 4553 offers pure luxury for your money. This RV offers the top of the line engineering, interiors, technology and innovation. One of the cool features of this RV is the 40-inch LED TV that is built in the sidewall which puts the word entertainment to another level. 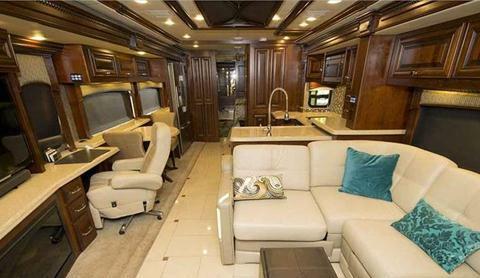 You can purchase this RV for an estimated price of $912,570. What makes this RV luxurious among the others is it has a 20,000 KW generator, rooms that can easily slide out, and a Knoedler air-ride pilot seat for that comfortable ride. It also features a steel constructed cockpit, walls, and floor. This RV is available for an estimate of $1,300,000. 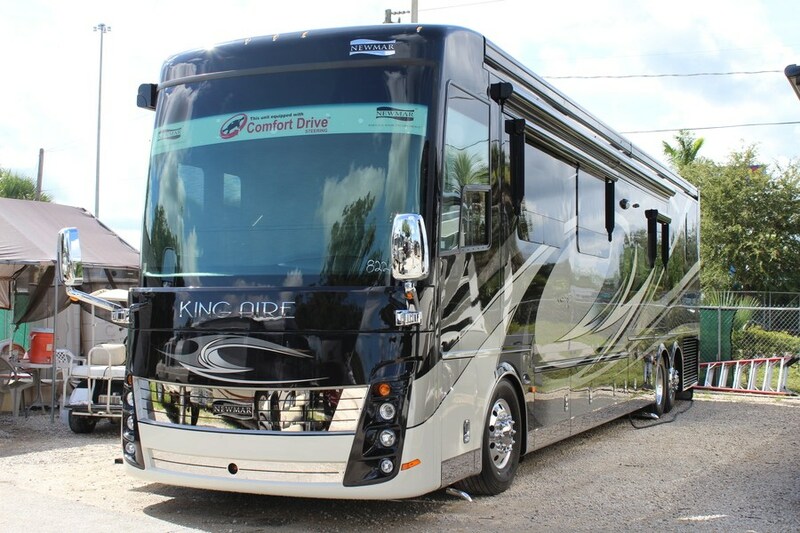 If you are looking for an RV that has a good amount of space, then the 2015 Prevost H3-45 VIP could be the one for you. According to Prevost, this RV has an “overall height of 12 feet, 5 inches (3.8 meters)” and it “offers more than 500 cubic feet of underfloor storage – space generous enough to accommodate virtually any conversion equipment, special amenities, and general storage needs.” Not only that, the outer shell of the RV is made of precision-molded fiber composite that makes it lighter but with maximum strength. This VIP on the road can be bought for $1,600,000. 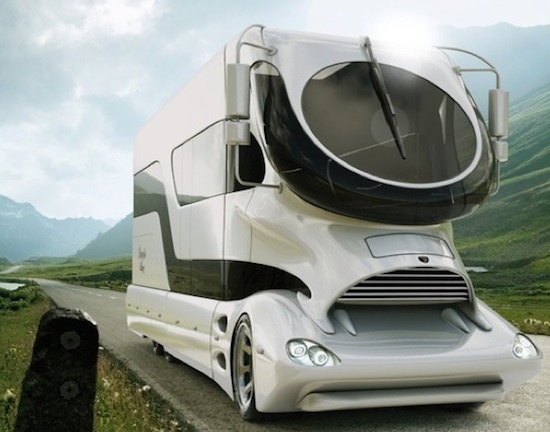 The Featherlite Vantare Platinum Plus is the second most expensive RV in the world, so far. To avail this RV you need to have at least $2,500,000 in your bank account and we’re guessing you could buy a house with that money. 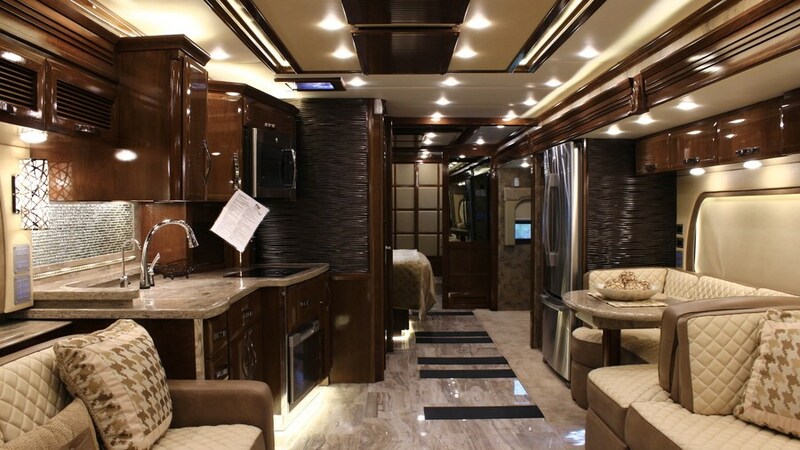 This luxurious RV got to be second for nothing, its interiors are made from the best materials such as rare Inca marble, copper, pearlized Italian leather, sapele Pommele from Africa, Swarovski crystal, and many other. 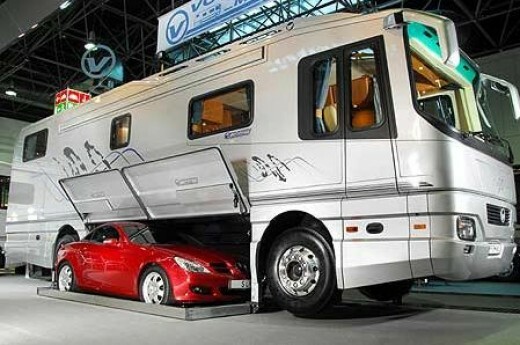 At the moment, the Marchi Mobile EleMMent Palazzo is the most expensive and luxurious RV in the world. It costs a whopping $3,000,000. This RV gives you a very futuristic style that combines aviation, yacht and motor. This RV offers you different functionalities such as a staircase that leads to the vehicle’s upper deck and a living room couch that can change into your very own bar. The interiors are the perfect definition of luxury with and-cut wooden flooring and marble countertop.